A weak bottom end is expected with just 125Nm of peak torque available at a fairly high 2,000 rpm but the way around it is keeping the engine in its midrange. The engine isn’t as vibey and noise inside the cabin is well-curtailed to give you a pleasant drive most of the time. 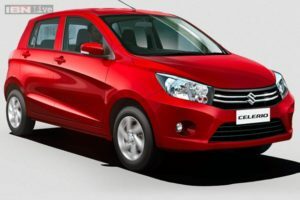 Towards the top of the rev band though above 3,000rpm, as the tiny two-pot begins to shriek is when you will find the Celerio a bit unpleasant. The shift quality is good though, clean and quick slots with a clutch that’s a bit heavy but not jumpy.All things said, the Celerio diesel is a car for the office commute for two. Any more passengers or luggage loaded and the engine will feel strained and out of breath to lug the extra weight.